Dr. Cecilio K. Pedro is the proud leader of one of the most resilient and successful 100% Filipino-owned companies today. From a business that started out by providing collapsible aluminum toothpaste tubes to multinational toothpaste manufacturers, Lamoiyan Corporation has since become a major toothpaste player in the industry creating the first major Filipino toothpaste brand, Hapee. Since then, Lamoiyan Corporation has diversified into the other areas of personal and household care. Other brands besides Hapee Toothpaste are Kutitap Toothpaste, Hapee Toothbrush, Star Toothbrush, Dazz Dishwashing Pastes and Liquids, Tenderly Fabric Softener and Fash Liquid Detergent. As CEO & President, Dr. Pedro received numerous renowned citations. In 1991, he was recognized as one of the Ten Outstanding Young Men (TOYM) in the field of Business Entrepreneurship. A year after, Lamoiyan Corporation was awarded Marketing Company of the Year by the Philippine Marketing Association’s Agora Awards. He was also given the Apolinario Mabini Award for Employer of the Year in 1993 and on the same year, he was recognized by the Personnel Management Association of the Philippines as having the Most Outstanding Program for Equal Employment. Dr. Pedro also holds several other positions in various church-oriented and civic organizations. As an advocate for the hearing-impaired, he has been the Chairman of the Deaf Evangelistic Alliance Foundation Inc. since 1992. DEAF Inc. operates a school in Laguna and conducts community-based rehabilitation programs around the country. Many hearing-impaired individuals are hired as regular employees at Lamoiyan. His efforts here have been recognized by the Department of Education, Culture and Sports as well. Dr. Pedro received his Business Management Degree from Ateneo de Manila University in 1975. He received his Honorary Doctor of Philosophy in Technological Management from the Technological University of the Philippines. From a family that is widely recognized in giving rise to the SM phenomenon and transforming the Filipino lifestyle and their shopping experience, comes a tycoon who is nothing less of an authority in retailing, entrepreneurship and business development as his predecessors. Mr. Herbert Sy currently holds top positions in a number of corporations across various industries. He is currently the director of Shoemart Inc., which boasts of 31 malls marked as landmarks in key cities across the country, and President of SuperValue, Inc. which handles all the SM Supermarkets. He is a director of SM Appliance Center, SM Prime and Makro Philippines and also the Director and Executive Vice-President of SM ACA. Mr. Sy is also currently a Director of China Bank Corporation & Best Rubber Corporation and Chairman of Sondrik Holdings Corporation. Real property development is also included in his roster of business ventures as he is the director of Multi-Realty Development Corporation, Tagaytay Resort Development Corporation and Ortigas Center Association. 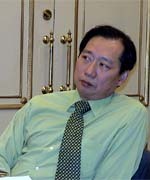 Herbert Sy received his business management degree from De La Salle University in 1979. Dean Philip Ella Juico has built over the past 30 years an impressive work record founded on rigorous work ethic, on his many strengths and, wisely, on what he believes in and enjoys doing. Dean Juico has been a professor of management for 18 years. 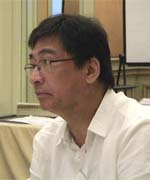 He had teaching stints at different colleges and universities in Metro Manila and at Asian Institute of Management. He has made teaching a calling and not surprisingly thereafter, in 2002, Dean Juico was appointed Dean of the De La Salle Professional Schools Inc. Graduate School of Business (DLS PSI GSB). Dean Juico’s writing abilities and communications skills, his enthusiasm for sports, and his sense of duty to others and to country have similarly found expression in different lines of work that mark the tapestry of his professional career. These include stints as journalist & sports promoter writing articles for Philippine Star, Manila Times, Manila Standard and Business Week; television producer and co-host for IBC 13 & RPN 9 TV shows. As public servant serving three administrations, he has performed the four roles of government – regulation and policy-making, promotion and advocacy, provision or delivery of services and production of services — earning him one of The Outstanding Young Men (TOYM) Awards for Government Service in 1987. 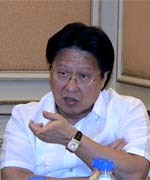 In government, some of his past positions include being Chairman of the International Broadcasting Corporation (2004-2005); Chairman of the Philippine Sports Commission (1995-1998) where his term of office was highlighted by the establishment of the Philippine National Institute of Sports (PHILSPORTS); Presidential Consultant for Community Development (1994-1995) where he fast-tracked the long delayed privatization of the strike-plagued and financially strapped Metro Manila Transport Corporation (MMTC); was Secretary of the Department of Agrarian Reform (1987-1989) at age 39 making the youngest Cabinet member of former President Corazon C. Aquino; was Undersecretary of the Department of Environment & Natural Resources (1986-1987); and was Assistant Secretary of the Department of Agriculture & Food (1986). In the private sector, Dean Juico has sat as director in the board of corporate giants as the San Miguel Corporation and Meralco. Dean Juico holds BA (major in History & Political Science) and BS Commerce (major in Accounting) degrees from De La Salle University and a Master’s degree in Business Management from the Asian Institute of Management. He is currently completing his DBA program at the De La Salle University. In 2000, Dean Juico was enshrined in the Sports Hall of Fame and a year after, was named an Outstanding Alumnus for Public Service by the De La Salle Alumni Association.